Fall is in full swing—take a break from the pumpkin patch and check out our October releases! All the listed titles are available to order right now from houseofanansi.com. The song of the rooster draws forth the universe and gives way to the dance of beings and objects as day draws its first brilliant breath. Written in Spanish and English, this book is so supremely simple that a baby can delight in it, and yet so complex that an adult reader can find joy in the poem and beautiful images over and over again. Jorge Luján dreamed this myth and, when he wrote it, understood that the rooster is the poet of the day. Manuel Monroy dipped his pen in the ink of the night and, when he withdrew it, found it was spangled with stars. Each night the mouse gazes up at the cat in the palace tower. Is the cat my friend? he wonders. Determined to find out, he bravely makes his way into the palace through a tiny hole and climbs all the way up to the tower, where the cat sits on the windowsill. “Hello, are you friend or foe?” he squeaks. This simple story by John Sobol has a surprising outcome, giving young readers a chance to draw their own conclusions. It is perfectly complemented by Dasha Tolstikova’s subtle yet striking illustrations. This powerful book by award-winning Salvadoran poet Jorge Argueta describes the terrible process that leads young people to undertake the extreme hardships and risks involved in the journey to what they hope will be a new life of safety and opportunity. A refugee from El Salvador’s war in the eighties, Argueta was born to explain the tragic choice confronting young Central Americans today who are saying goodbye to everything they know because they fear for their lives. This book brings home their situation and will help young people who are living in safety to understand those who are not. Compelling, timely and eloquent, this book is beautifully illustrated by master artist Alfonso Ruano who also illustrated The Composition, considered one of the 100 Greatest Books for Kids by Scholastic’s Parent and Child Magazine. In this stunningly illustrated non-fiction picture book, award-winning author and illustrator Jan Thornhill tells the tragic story of these birds that “weighed as much as a sack of potatoes and stood as tall as a preteen’s waist.” Their demise came about in part because of their anatomy. They could swim swiftly underwater, but their small wings meant they couldn’t fly and their feet were so far back on their bodies, they couldn’t walk very well. Still the birds managed to escape their predators much of the time … until humans became seafarers. Although undeniably tragic, the final demise of the Great Auk led to the birth of the conservation movement. Laws were eventually passed to prevent the killing of birds during the nesting season, and similar laws were later extended to other wildlife species. Meet the cast of The King of the Birds! This picture book was inspired by the life and work of Flannery O’Connor, including her essay “The King of the Birds” (copyright by Flannery O’Connor, copyright renewed by Regina Cline O’Connor. All rights reserved). Jane Ozkowski works in the office at a motorcycle driving school, and although she does not have a motorcycle, she does have her license in case she needs to make a quick getaway. Watching Traffic is her first novel. Lucky for you, we have a free eBook preview, available now! Emily has finally finished high school in the small town where she has lived her whole life. At last, she thinks, her adult life can begin. But what if you have no idea what you want your new life to look like? What then? While Lincoln gets ready to go backpacking in Australia, Melissa packs for university on the east coast, and a new guy named Tyler provides welcome distraction, Emily wonders whether she will end up working forever at Pamela’s Country Catering, cutting the crusts off party sandwiches and stuffing mushrooms. Is this her future? Being known forever as the local girl whose mother abandoned her in the worst way possible all those years ago? Visiting her spacey grandmother, watching nature shows on TV with her dad and hanging out with Robert the grocery clerk? Listening to the distant hum of the highway leading out of the town everyone can’t wait to leave? With poetic prose and a keen eye for the quirks and ironies of small-town life, Jane Ozkowski captures the bittersweet uncertainty of that weird, unreal summer after high school — a time that is full of possibility and completely terrifying at the same time. Watching Traffic is forthcoming from Groundwood Books on August 1st, 2016. When I first saw a picture of Muffin, her name was Mimi and she did not look like a kind of dog that I would get along with very well. She seemed too tiny and too high strung and her name was MIMI, for chrissakes. So, I applied to meet an entirely different dog named Gary. The animal shelter emailed back to set up an appointment for me to meet Mimi because they thought she might be perfect for me, and I wanted to seem game so I said I would meet her (with the hopes of meeting Gary the following weekend). And then she was familiar. She was scraggly and feisty and feigned disinterest in a way that I knew. I thought we could live side by side. I crossed my fingers. I said that I would take her. I decided to name her Muffin. Every day I wake up at 7:00 a.m. and take Muffin for a walk. And every day I cannot believe how lucky I got. Muffin is the most perfect dog for me. And Gary? Who is Gary? Dasha Tolstikova’s illustrations have appeared in the New York Times, the Wall Street Journal and the New Yorker. Her graphic-novel memoir, A Year Without Mom, has received three starred reviews and has been translated into Korean and Swedish. She has also illustrated The Jacket, written by Kirsten Hall, a New York Times Notable Book. We’re celebrating the great Summer weather by giving away a copy of Watching Traffic by Jane Ozkowski! The contest runs from July 4th to July 17th. A winner will be randomly chosen. Fill out the form below to enter! Looking for your next summer read? Groundwood has some very cool giveaways happening right now over at the House of Anansi Goodreads. 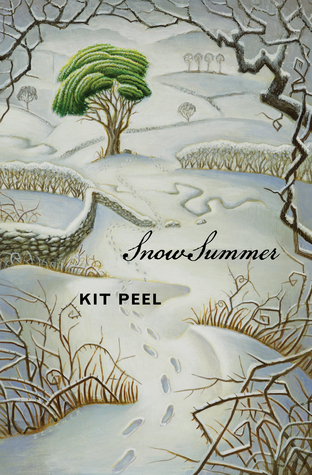 Just click the links below to enter to win advance reading copies of Snow Summer by Kit Peel, Book Uncle and Me by Uma Krishnaswami or What Milly Did by Elise Moser. And make sure to add us as a friend so that you can have first access to future giveaways, including those from our sister company, House of Anansi Press! Giveaway ends August 13, 2016. Just because it’s summer doesn’t mean you can’t enjoy some nice homemade cookies, right? And why would you want to wait for the September 1st release of Bear’s Winter Party to make a batch of Bear’s Honey Ginger Cookies? Luckily for you, we have the recipe by Deborah Hodge available a little early. Check out our printable resources for parents, teachers, and librarians. In honour of pride month, we have a free eBook Preview for A Boy Named Queen, the latest novel from Sara Cassidy, available for download. A Boy Named Queen is forthcoming from Groundwood Books on August 1st, 2016. Morris Micklewhite and the Tangerine Dress is a story about the courage it can take to be yourself, and it is a celebration of the joy that comes from being exactly who you want to be. 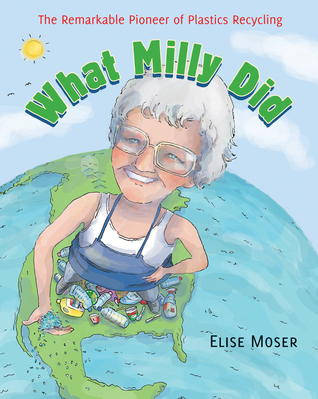 If you haven’t already shared this picture book with a child in your life, then Pride Month is the perfect time to pick it up. Morris likes lots of things about school. He likes to paint. He likes to do puzzles. He likes the apple juice at snack time and singing the loudest during circle time. Most of all, Morris likes the dress-up center. Morris likes the color of the dress. It reminds him of tigers, the sun and his mother’s hair. He likes the noises the dress makes — swish, swish, swish when he walks and crinkle, crinkle, crinkle when he sits down. He takes turns wearing all the different shoes but his favorite ones go click, click, click across the floor. With warm, dreamy illustrations, Isabelle Malenfant perfectly captures Morris’s vulnerability and the vibrancy of his imagination. 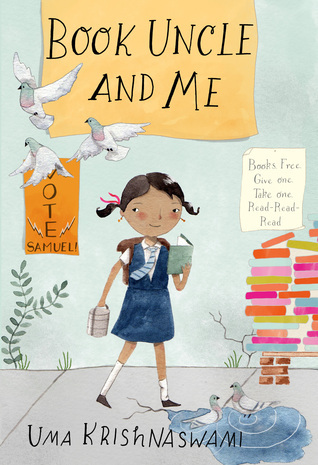 This is a sweetly told story about the courage and creativity it takes to be different. For National Aboriginal History Month we’ll be dedicating our June posts to Aboriginal titles published by Groundwood Books. We’ve reached National Aboriginal Day! Here at Groundwood, we feel the perfect way to celebrate is by hearing from Indigenous kids themselves. Author and activist Deborah Ellis travelled across the continent, interviewing and gathering stories that we’ve included here. Plus, all royalties from the sale of Looks Like Daylight go to the First Nations Child and Family Caring Society of Canada. I go to a Sun Dance. They have this circle. On the first day, you feast and dance. On the second day, you do a fruit and vegetable feast — that’s all — and you dance. The third day is a fast. On the fourth day, we dance until noon. Then we take the circle apart and take down the tree of life and take down our tents. Then we eat. It makes me feel good because this year I actually completed it. On the second day it was really hard. The weather was hot and I felt like quitting. But I found the strength to keep going and I completed it. I like who I am and where I’m from. It’s special. Even white people who know I’m Native can sometimes act like jerks. They’ll say, “Heading home to your teepee?” or go “Woo-woo-woo-woo!” and pound their hands to their lips, doing some lame Hollywood version of a war dance. Others ask me questions and they’re respectful. You can tell when people really want to know something in order to get to know you better. But some questions go too far. Like, because I’m Ojibwe they think I was born on some sort of different spiritual plane or something. My chenai [grandfather] and my nana and others ran away from the residential school they were put into. Some of the older generation, like my great-grandparents, looked at the residential school as a good thing, but the schools weren’t as bad for their generation. For my nana and chenai it was a whole lot of abuse. They were treated really badly. I live just over the hill from where the Wounded Knee massacre took place, over by Wounded Knee Creek. For white kids it’s just something in a history book. For me it’s my family. It’s my ground that they bled on. It’s personal.